New Zealand may not be the first place you think of when choosing to study English in a new country, but this young nation is clean, safe and a great place to meet new people and improve your English. To study there though, you will need to apply for a student visa. Learn more about the student visa requirements to study English in New Zealand below and, if you are ready to apply, contact SI-English today. 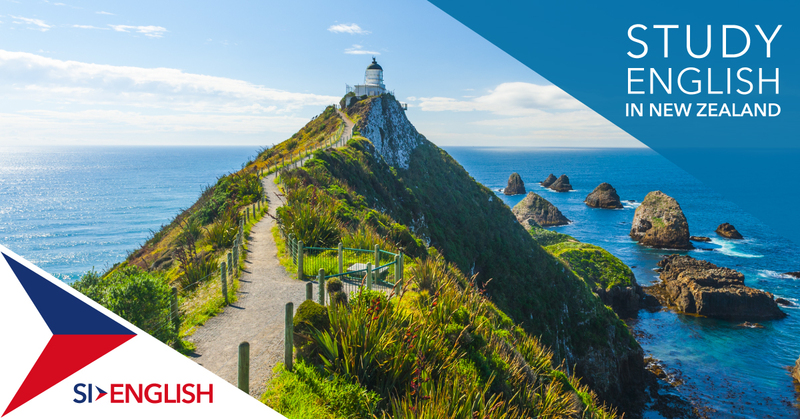 We can guarantee you an offer letter from an English school in New Zealand within 24 hours of your application being submitted! If the English course you are applying to is less than three months in length, you will only need to apply for a New Zealand visitor’s visa. If the course is longer than three months, you will need to apply for a student visa. If you wish to work part-time while in New Zealand, you can apply for a Variation of Conditions to your visa, which will allow you to work up to 20 hours per week during term time. What documents do I need to apply for a visa in New Zealand? The following is a short summary of the documents needed to successfully submit your visa application. If you wish to extend your stay, you are permitted to apply for another temporary visa. If you are interested in studying English in New Zealand, apply with SI-English today. We can help you apply and guarantee you an offer letter from a school within 24 hours of your application being submitted!